Female-fronted multi-genre band Sonic Boom Six have done nothing but tour Europe, the US and Japan for the last ten years, as well as release three albums on their own record label Rebel Alliance Recordings. Since sitting down to record The F-Bomb in 2014, the band's outspoken messages have been translated into lyrics and accompany their one of-a-kind gigs that are open to literally everyone. Don't be misled by the controversial looking cover, as it's not what it seems. It is in fact an eclectic and upbeat mix of Ska, Grime and even Punk - like a car engine that's been disassembled and put back together in an odd way, but still works. 'No Man, No Right' starts the album and you may wonder what you've just signed up for, but trust me when I say the song will be stuck in your head because of its catchy chorus and do-gooder message, with the band saying what people are afraid to. 'Do What You Wanna Do' fuses Jazz and Rap into one song, with it sounding like it could belong in a musical with its upbeat choruses and verses, making you want to sing along like you would in a theatre. 'Train Leaves Tomorrow' throws a more sombre song into the mix, but isn't anything short of surprises. It's disguised as a slow Pop song, but reveals itself to have Ska undertones, especially in the chorus and bridge - Sonic Boom Six have intermixed lots of different genres that shouldn't work, but they've pulled it off spectacularly. If there's an album that teaches me (and I think everyone) to not judge an album by it's cover, it would definitely be this one. 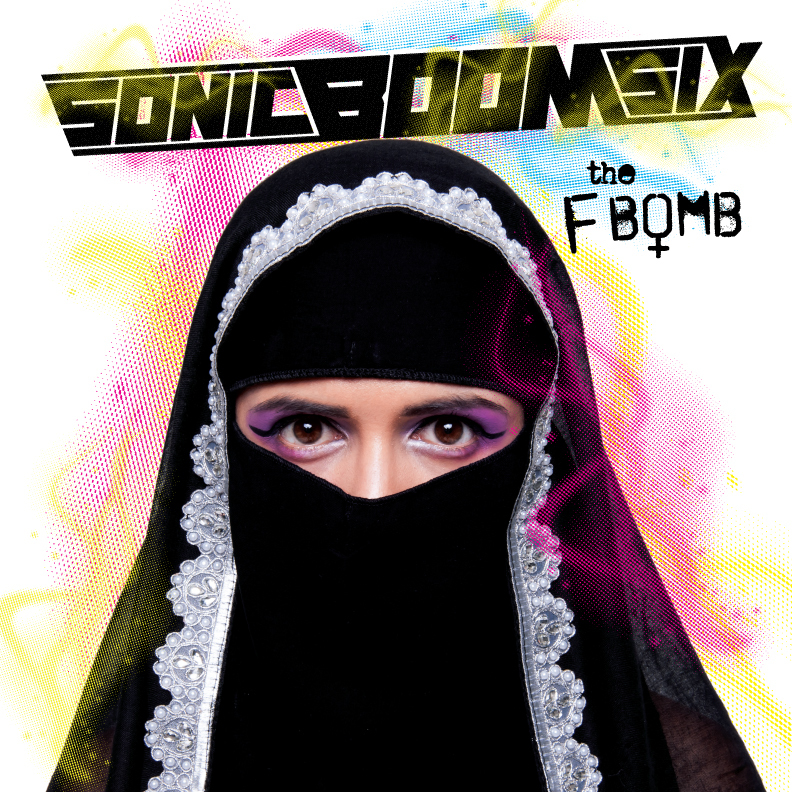 You can buy The F-Bomb on iTunes, Amazon (UK | US), the Cherry Red Records store or listen to it on Spotify for free. Also follow Sonic Boom Six on Twitter, Instagram and Facebook to see what they're up to. Don't forget to follow me on Twitter and Bloglovin' to see my next post before anyone else.